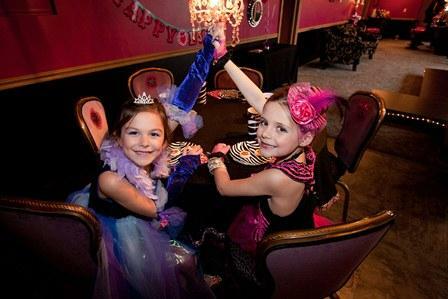 We are now booking parties for Glitz & Glamour, girly girl parties. 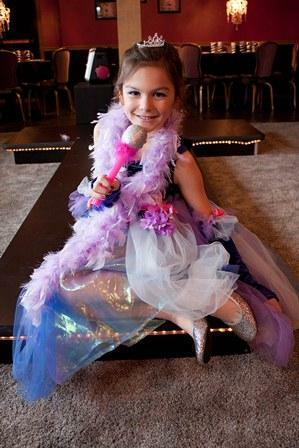 If your little girl wants to be a Princess, Pop Star or Fairy, we have the party for you. 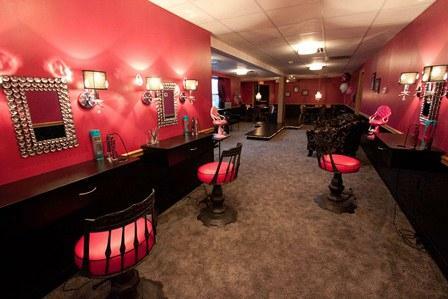 Our new private party room is all the rave with bling, bling & more bling! Your guests will feel like a star while getting their makeovers done. Hair is styled and accented with color & glitter hair spray. Face art is done in the eye area designed for princesses & pop stars. Lip color and glitter top off the look to be super fun! We prefer no braids, tangled or wet hair. If your child arrives with any of these, we will be limited to how we can style their hair. Karaoke is also available during parties, or you may bring your own CD, iPod, or iPhone to listen to your own tunes. Age range is 4-10 years. Girls are allowed to bring their American Girl dolls to play in our custom doll room. $225.00 for a party of 8 girls, $12.00 per additional girl with a max of 12 girls. Birthday child is FREE! You may bring in small food items such as finger sandwiches & chips along with your cake and drinks. No pizza allowed for Glitz & Glamour Parties. 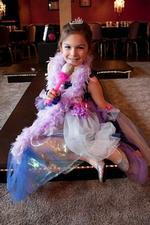 Tutus, Wands, Halos, Jewelry, Pettiskirts, Gloves and Hair Extensions. 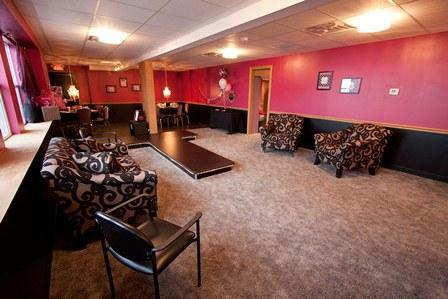 Visit our Glitz & Glamour boutique located in our lobby area!